Power buns are starting to pop up around Memorial Stadium. At least that’s what Jasmyne Spencer calls the signature style where she wraps her hair in dual knots atop her head with a headband of her own design for Seattle Reign FC game days. Young soccer fans have mimicked the look that’s as eye-catching as the forward’s use of innate speed to change the tempo of matches and give Seattle opportunities to score. Spencer’s first goal of the season was her own creation, a give-and-go play with midfielder Allie Long in a win against Washington earlier this month. It was also Spencer’s first start of the season and might have solidified her spot in the lineup. The Reign (11-4-7, 40 points) plays its final home game of the regular season Saturday against NWSL-leading North Carolina. Proving herself is nothing new to Spencer. The Maryland alum has been doing that since joining the league its inaugural season in 2013. She played for Washington and the WNY Flash before being traded to Seattle by Orlando in January. To stand out among a roster of 12 new players and a first-year coaching staff, Spencer typically arrives early to practices and stays late for extra training. With the Reign, she’s also sharpened her knowledge of how to use Andonovski’s noted defensive tactics as an offensive player. While soccer is as much of Spencer’s personality as being a fifth-generation New Yorker, it took a while for her to dedicate herself to the sport her mother and two older brothers still play recreationally. Through childhood, the fast footwork was used as a trained dancer. She competed through Kovacs Studio of Dance in Bay Shore Long Island. In her final year with the program at age 15, Spencer’s solo tap routine earned her eighth place in a regional competition. Instead Spencer uses the talent to teach teammates routines during downtime. Reign goalkeeper Michelle Betos and defender Yael Averbuch are also Spencer’s roommates, the trio often watching the television show “World of Dance” together. Andonovski said there’s little missing from Spencer’s game. He also plans to have her in Seattle long-term. 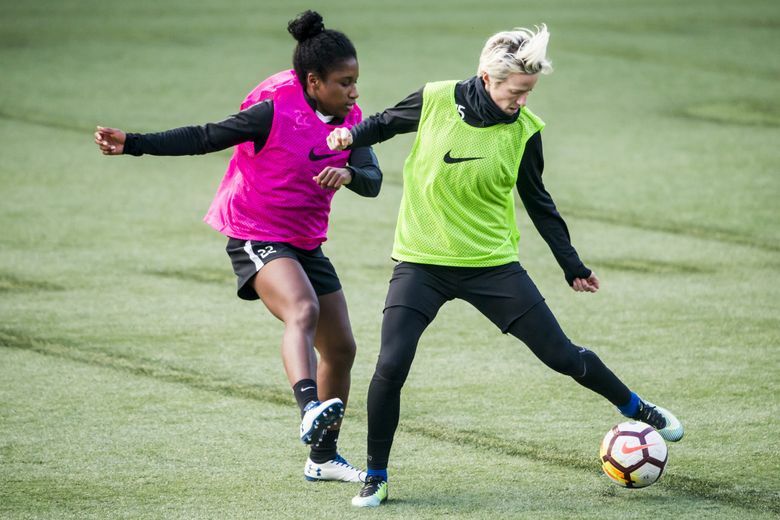 Spencer’s style blends nicely with gritty Reign mainstays like striker Megan Rapinoe and Jessica Fishlock. “Toughness is in my genes,” Spencer said.